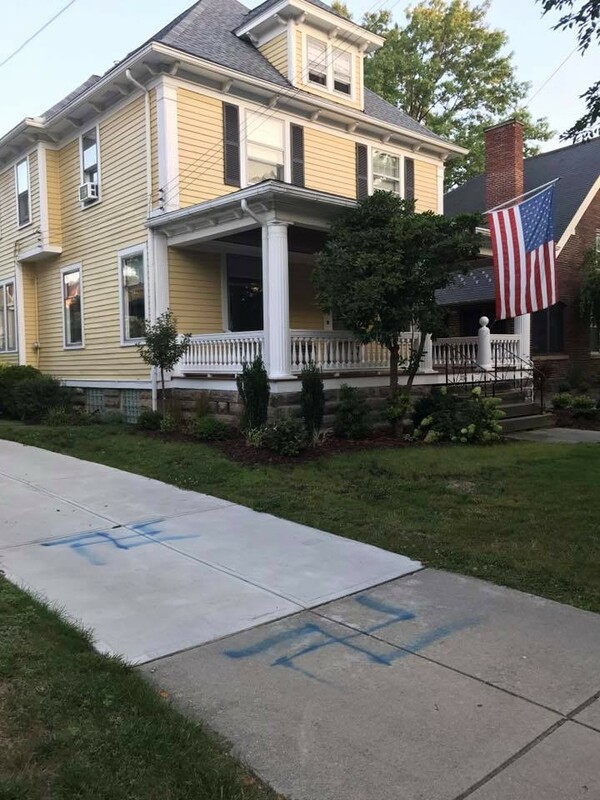 A Lakewood man shared a photo this morning on Facebook of two swastikas spray-painted onto his neighbor's driveway. The symbols were painted backwards. Lakewood police confirmed to Scene that they were contacted and that officers were sent to the residence to investigate. (We're awaiting a copy of the report.) Also, the Lakewood Building and Housing Department has been notified; it falls to that office to remove graffiti. 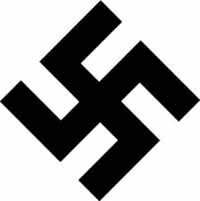 The social climate, of course, is especially attuned to Nazi iconography these days, as the country grapples with the tragic events in Charlottesville, Va., over the weekend. 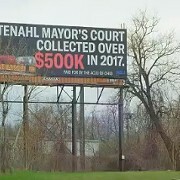 Swastikas have never completely faded from the racist subculture of the U.S., and they appear now and then here in Northeast Ohio.